These two websites are the most exciting social media sites that I have stumbled upon in a while. Hopefully you will fall in love as quickly as I did. Here are some basic facts about each of these. I encourage you to give them a try! This site is the yellow pages of social media conferences. It hosts information for social media and business conferences all across the world that are searchable using key words, location or date. You’re never too young or old to brush up on customer service, client service, social media or marketing skills. Lanyrd also allows you to see who is attending or “tracking” the conference as well as a link to the conference website for more information. The coolest part? 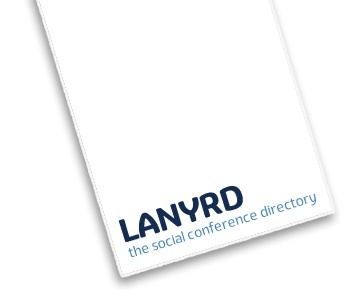 When the conference is registered on Lanyrd, the creators of the conference are able to alert users of Lanyrd if they are in need of speakers, guests, or hosts. Need to see it to believe it? Check out the Lanyrd for SXSW (South by Southwest) Interactive 2011 conference. Where Twitter meets Foursquare. This site combines the hash tags of Twitter with the location check-ins of Foursquare. But that’s not all. 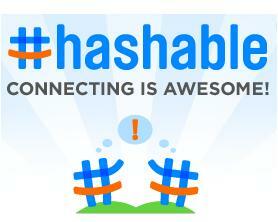 With Hashable’s app, you are able to create your own network of business or personal contacts. Meeting a business professional for lunch? “Check-in” both of you to the diner and send him or her a virtual business card. As you continue to meet each other at various meetings or conferences, Hashable will track your working relationship and suggest different people for you to meet to grow your network. Earlier this week, Dr. Pepper introduced to a select few test markets a new reduced-calorie soda called Dr. Pepper Ten. Created for 25- to 34-year-old men who prefer regular Dr. Pepper but want fewer calories, the drink boldly positions itself as “Not for Women.” Here’s the commercial that’s set to air in test markets. The article goes on to explain, “The packaging and marketing are both heavy on masculinity, but also clearly state the brand proposition, something Coke Zero and Pepsi Max struggled with.” So Dr. Pepper has decided to leave no room for questions like it’s competitors have in the past when targeting males with diet sodas—this is a man’s drink. The company has identified an audience that has yet to be fulfilled by a low-cal soda and is marketing directly to it. Nothing wrong there. Still, the “not for women” slogan does come off a little extreme. Sounds “alienating” to me. Dr. Pepper is clearly attempting to increase its market share—like the rest of us—but what do you think, offensive or all’s fair in love and advertising? 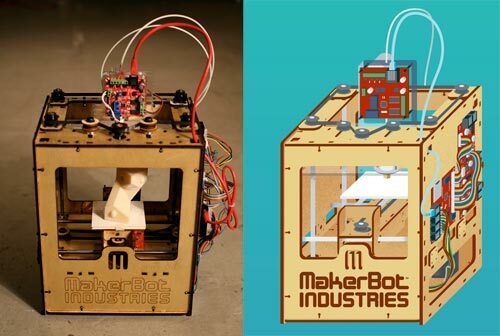 If you don’t know what a Makerbot is, it’s an affordable 3D printer that creates objects based on three-dimensional designs created in software. Years ago a 3D printer would easily cost tens of thousands of dollars, so when I say that a few thousand dollars is affordable, it’s the same way a laser printer was affordable 20 years ago. The prices will continue to come down, while the technology continues to improve. You can see some of the things that Marius Watz is creating in this Flickr set, and eventually all of the objects he creates should be available for you to download and recreate using your own 3D printer! I’m a big fan of the fusion of technology and art, and I’m really interested to see where Marius takes this residency. What Makes a Good News Story? While everyone thinks they have a special story to tell, the media doesn’t always agree. Here are few things the news outlets consider when selecting the stories they will be covering for the day. Timing is everything and if it’s happening “now” the story is likely to be covered. Viewers and readers want the latest information, so anything dated is quickly discarded. That’s why police shootings, fires and car chases make the headlines. How many people does the story affect? The media is interested in higher numbers. A flu outbreak that impacts hundreds is likely to be covered over a flu outbreak that hits a dozen people. The media wants to cover stories that impact people where they live. It has more value if it stays closer to home. People here are more likely to read a story about higher gas prices in Wisconsin versus high gas prices in Georgia. If you’re a familiar name your actions are more newsworthy. If a business man falls on the ice and breaks his arm, few will notice. If a state senator does it, it’s news. These stories appeal to emotion. They are covered to create an emotion, action, or simply to tell an interesting tale. They can be quirky, but need to be memorable. If it’s a unique story, it’s also more likely to be covered. When pitching a story to the media it’s important to consider what angle you are going for. The more work you do to make your story appealing to the media, the more likely it is to be covered. You all enjoy the snow – I’m in L.A.! While you’re vigorously scraping ice off your car or shoveling your driveway, I’m basking in the California sunshine. No, I’m not on vacation. I’m actually out in Los Angeles for a photo shoot with C. Thomas Howell, an actor on TNT’s “Southland.” We’re working on rebranding him and creating his new website, and I think these photos will work out great. Oh, and the photo below? 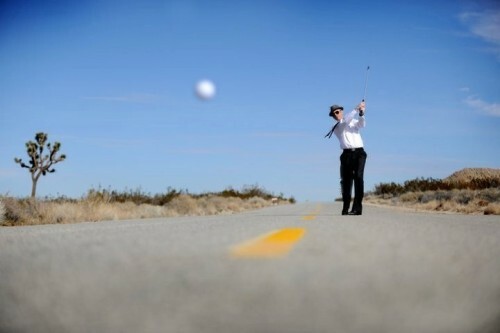 Taken in one shot.